Hisar (Haryana) [India]. March 23 (ANI): An 18 month-old-boy who had fallen into a 60-feet deep borewell in Hisar's Balsamand village was rescued on Friday. The boy, identified as Nadeem, was successfully rescued in a joint operation carried out by the Indian Army, civil administration and the local police. He was later handed over to his parents. “The Army engineers prepared the heavy equipment of dozers and JCB. 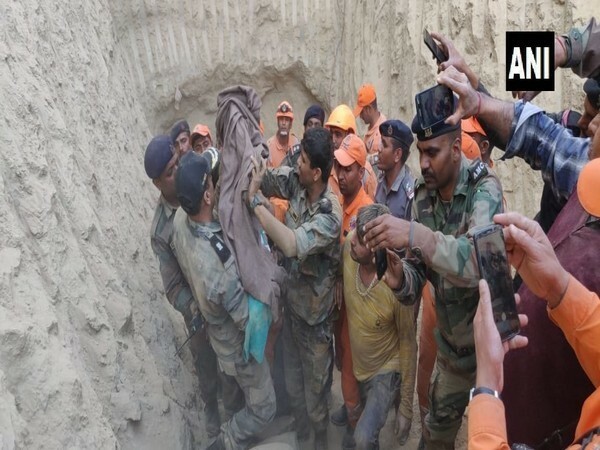 With the assistance of civilian excavators, the engineers had already started digging to construct a connecting tunnel 60 feet deep to avoid any harm to the child," Indian Army said. Nadeem, who was playing outdoors, fell into the borewell on Wednesday.